We install all types of fencing and decks. Mid Tenn Fencing has been operating in the Middle Tennessee area for over 30 years. Mid Tenn Fencing is owned by Kenneth Cooper. We have four three men crews. Mid Tenn serves both commercial and residential. Your home town fence company, with over 35 years of experience. Williams fence is family owned and operated. Member of the Better Business Bureau. Honesty, integrity, and Quality Workmanship. Our quality workmanship has earned us a reputation as one of the areas premiere fence contractors. We are experts in fence repair, construction and installation. 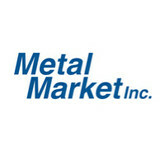 Metal Market began serving the Fort Payne, Alabama area in 1990; and since 2000 has grown significantly under the ownership of Roland Anderson. Our office and shop are located on top of Lookout Mountain on Highway 35. Our ornamental iron work is custom build by skilled workers using high quality materials. We deliver and carefully install our work. Please contact us for a free consultation and quote. We do custom metal farbrication, both large and small. We also do plasma cut designs. Metal Market is officially licensed to produce products bearing the University of Alabama logo. Call A Barnes Fence Company for all your fencing needs. The Invisible Fence® Brand has given millions of dog and cat owners true peace of mind not just in the yard, but throughout the entire home. With one simple Computer Collar® an entire range of worry-free solutions can be customized to your pets and home to keep them safe, stop bad behaviors, and make families happier. With our invisible yard solutions, pets can safely run and play while you relax knowing they’re out of harm’s way. Professional pet training and expert installation are even included. Contact us today for more information! Our Company Hi-Tech Gate Systems is committed to providing you with the best installation, service and design. We approach every project with a focus on aesthetics, functionality, cost, and reliability. For over fifteen years, Evan Whited has been in the field of electonics and design from computer networking to automated access control solutions . Each project is handled with unique perspective and integrity. Hi-Tech Gate Systems has established itself as a leader in the Gate Automation and Access Control industry. Ingenuity and an eye for solutions make Hi-Tech Gate Systems the obvious choice for Gate Automation, Access Control, Custom Gate Design, Service and Installation. Hi-Tech Gate Systems is known for: On schedule completion. Final product exceeding expectations. Honesty, integrity, and great value. Ol' South fence manufactures and installs concrete fence that looks like Stacked Stone, Wood Plank and Ranch Rail. Your Chattanooga, TN fence installation and repair professional will work with you to create your ideal fence. Fence installation or replacement. If you are in the market for a brand new fence, a contractor’s services will include walking you through various fence styles and materials, determining a suitable height, ensuring that all fence designs and plans are compliant with Tennessee building codes, and that the fencing meets both your stylistic and security needs as the homeowner. Fences and gates must complement the grade of your property as well as the type of soil you have, so the contractor should always plan around these considerations. Additionally, if you don’t know exactly where your property lines are, he or she can commission a survey for you. Find a fence contractor in Chattanooga, TN on Houzz. Narrow your search in the Professionals section of the website to Chattanooga, TN fence contractors. 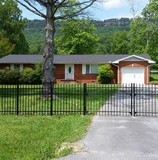 You can also look through Chattanooga, TN photos to find examples of fencing and gates that you like, then contact the professional who worked on them.